Once you have selected what you want to include in your report you can export it. You just click the Export or CSV download button. You can export the whole page of data from the export button at the top or can can export each chart by clicking the CSV button in the corner of the chart when hovering over it. This will turn the data into a CSV file for you to open in Excel. The report that you have run will determine what is included. Examples can include running a report on users total hours for the month, you can then have a file that works well for payroll purposes. 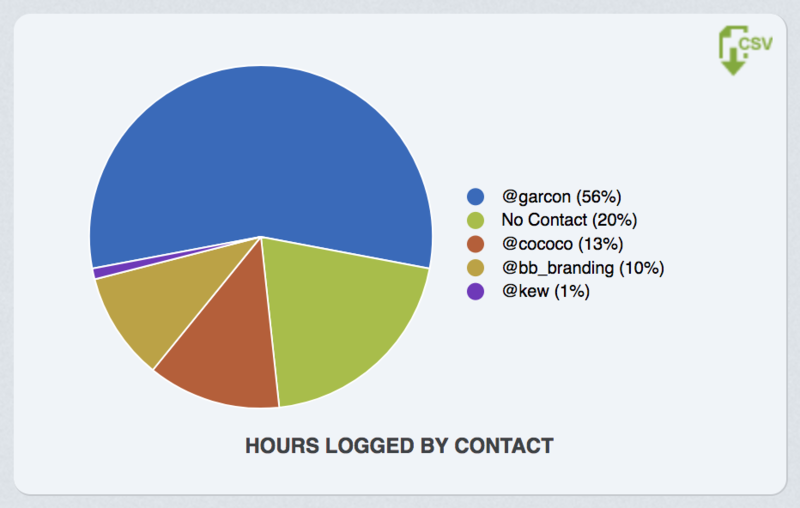 You could also choose to include any of the other filters to see reports on users by project or task etc. See examples here. Your report will download, you can then click on it and open it in Excel to see your data and customise it further.